This inspiring and exciting book reads like a novel. 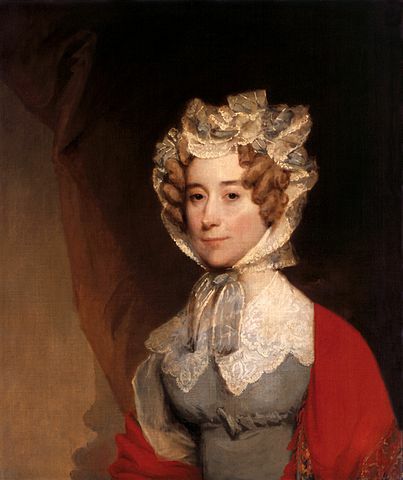 It concerns the Russian exile of John Quincy Adams, the American Ambassador to Russia, and his wife, Louisa. The couple certainly had to endure a lot, but they both achieved success in the midst of their trials and tribulations. L:yrical writing and judicious use of John and Louisa's writings help to make Jane Cook's thoroughly-research book a joy to read from start to finish. John Quincy Adams, the American Minister in Russia, found himself in desperate straits from the very start of his term. American ships were being sequestered by the Danish and the Russians because of French policies. The British were also impressing American sailors, i.e. forcing them to join the British navy. Adams had a struggle to deal with this situation. The U.S.A. was still not respected as an independent nation by most of Europe, and this made it difficult for it to trade. If Adams could help ensure that Russia, the largest European country, respected the U.S., this would greatly assist the cause. Louisa had even greater trials. She left two sons behind, endured miscarriages, and she also lost her only daughter during their stay in Russia. She had a sickly constitution, and the Adams's couldn't afford the glamorous lifestyle of the other European diplomats, so she found social life difficult. She also had to chaperone her younger sister, who caught the eye of the Tsar. These were just some of their difficulties. This is a riveting tale of how this couple helped to achieve respect and honour for their country. It is a story of faith, resilience and persistence. The part of the book that I liked the best was the story of Louisa's trip from Russia to Paris in 1815. Alone, except for a few servants and her young son, Charles, Louisa got lost in the forest, and endured lots of other trials, such as one of her servants running away. She even had to run the gauntlet of French soldiers when Napoleon escaped from Elba! I loved this book., and I'll definitely buy my own copy. I received it free from BookSneeze, and this review is my own opinion.